(Bloomberg) -- Major League Baseball’s Washington Nationals can’t stop the Baltimore Orioles from taking a fight over millions of dollars in television broadcast fees and profits to outside arbitration, a judge ruled. 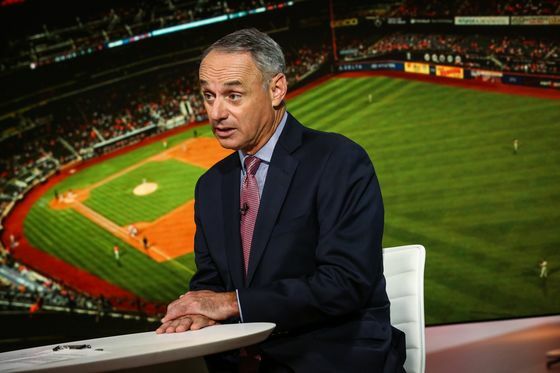 Justice Barry Ostrager in Manhattan on Wednesday rejected the Nationals’ claim that the league’s commissioner, Rob Manfred, must arbitrate the disagreement over profits from the neighboring teams’ 2005 TV partnership agreement. Jonathan Schiller, a lawyer for the Orioles, said in a statement that the Nationals had filed an "unwarranted lawsuit against another Major League Baseball team where both clubs had agreed in writing to resolve their disputes through private, confidential arbitration." The Nationals had sued on Tuesday, seeking an injunction to halt a proceeding started by the Orioles before the American Arbitration Association in New York. The dispute concerns a decision by the teams’ regional sports broadcaster, Mid-Atlantic Sports Network, to withhold its usual distribution of profits last year to the two clubs and hold the money in reserve instead. The broadcaster, which is controlled by the Orioles, was created under the 2005 agreement and is owned jointly by the two teams. Ostrager said the 2005 agreement bars MLB from arbitrating disputes if the league has a financial stake in either team at the time a disagreement emerges. When the dispute over the TV profits started last summer, MLB may have had a $25 million loan outstanding to the Nationals, the judge said, citing the Orioles’ argument. The Arbitration Association is better positioned to decide if it or the MLB has jurisdiction, according to the ruling. “This result makes eminent sense as it would be illogical to allow MLB -- a potentially conflicted party -- to determine whether MLB itself had a financial interest in one of the parties to the dispute at the relevant time,” Ostrager said in his decision. MLB’s press office didn’t immediacy return a message seeking comment. The Nationals also want an additional $50 million a year from TV broadcasting fees. Stephen Neuwirth, a lawyer for the Nationals, didn’t immediately return a call seeking comment on the ruling. The teams previously clashed over arbitration related to broadcasting fees in the 2005 deal. In November 2015, the Orioles won a second chance to negotiate their share of local television fees with the Nationals after a different New York judge threw out an arbitration award tainted by possible bias.